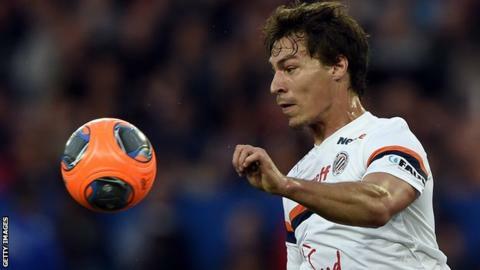 Tottenham have signed defensive midfielder Benjamin Stambouli from Montpellier for an undisclosed fee. The 24-year-old is a former France Under-21 international who came through the ranks of the French club, making 129 appearances and scoring four goals. He was part of the Montpellier side that won the Ligue 1 title in 2012. Stambouli is Tottenham's sixth transfer window signing after Ben Davies, Michel Vorm,Eric Dier,Federico Fazio and DeAndre Yedlin, who will join in 2015. Spurs have also agreed a deadline-day deal to send midfielder Lewis Holtby to German club Hamburg on loan, while Zeki Fryers has joined Crystal Palace.